Work on what’s left of your wardrobe to create a visual impact that screams functionality and yet has a tinge of flair for style. Group similar-colored clothing pieces together. That means black jackets, dresses, tops and pants are to be put in one space. For added cohesion, use the same kind of hanger. This way, you can find matching pieces easily while having that organized look. It would make sense to keep the things you’ll be using only during the summer or winter, so store those clothing items until you do. Put them in boxes or space bags which can be vacuum-sealed to save more space. Break out the jackets and sweaters in winter, then swap them out for summer accessories during the hotter months. 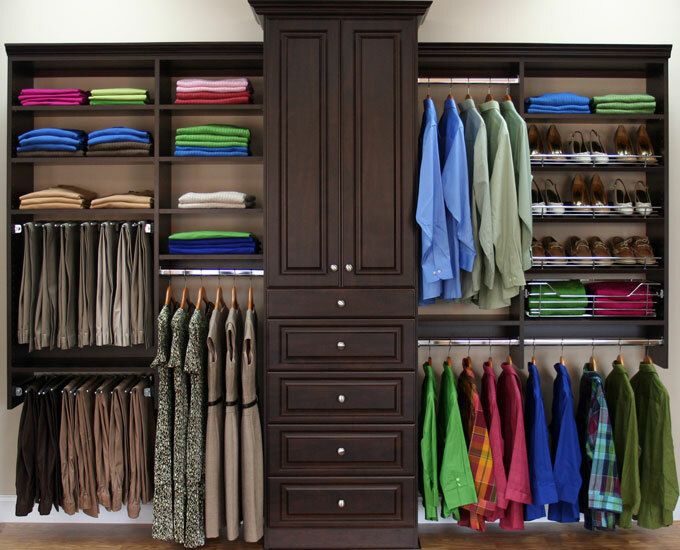 Drawers are absolutely wonderful in keeping closets organized. You can get shallow drawers for storing scarves, mini sweaters and jewelries, while the deeper ones are great for everything else. Cubbies and trays can take care of the smallest items you have, while ties and belts can be put in cubicle storage. A little known tip for stacking clothing in drawers is to store the items vertically so you can see them all when you pull out the drawer. Contrary to popular belief, bigger isn’t always better. Divide and conquer large shelves and drawers by using dividers and designating shoe holders; those extra shelves can break up wide storage shelves. The rule of thumb is that no more than 5 layers should be stacked on any given shelf. When you’re done organizing and putting those clothes in neat stacks and shelves, it’s time to highlight your work. 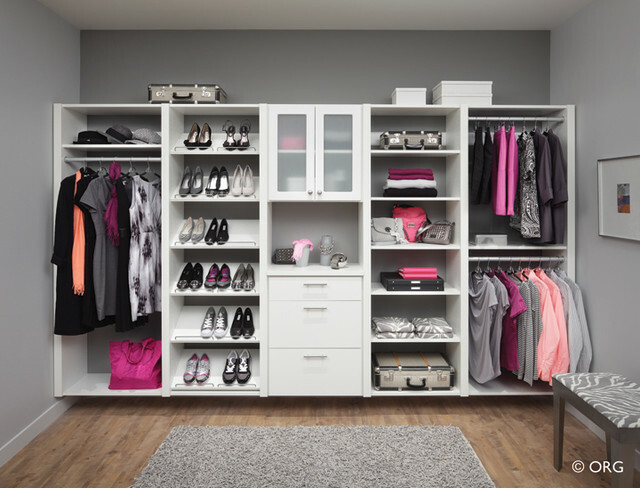 The right kind of lighting can bring out the organized look of a closet, make your closet look bigger than usual and make it easier for you to find the clothes you need. Use efficient, low-voltage or battery-powered lights and install them in dark corners such as drawers and shelves. You can also set it up to open or shut when you close or open your cabinets and drawers. So you did the hard work and created a beautiful, organized closet. It doesn’t have to be a temporary thing. You can keep it organized by putting the clothes in their place after you use them. Find out ways how to better organize messy sections; a basket for putting them in might work in keeping it tidy. Schedule a regular donation process for clothes you no longer want or need. Remember that elegant design is both functional and free from unnecessary clutter!